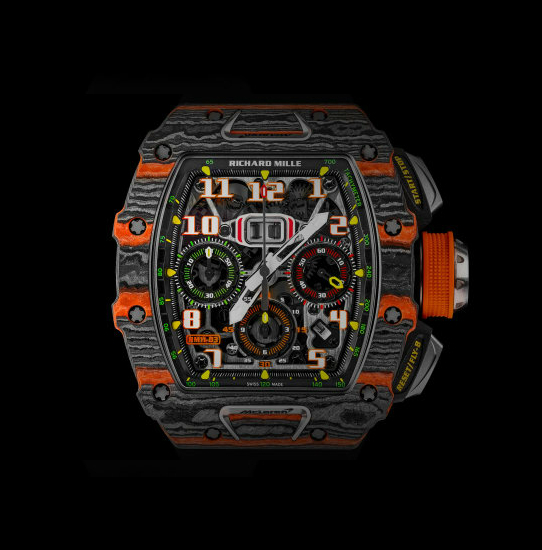 The limited edition “RM 11-03 McLaren Automatic Flyback Chronograph” wristwatch imbues the design and innovation and honour the stylish codes of the British automaker with that of Richard Mille that speaks truly of what could be a powerful partnership. 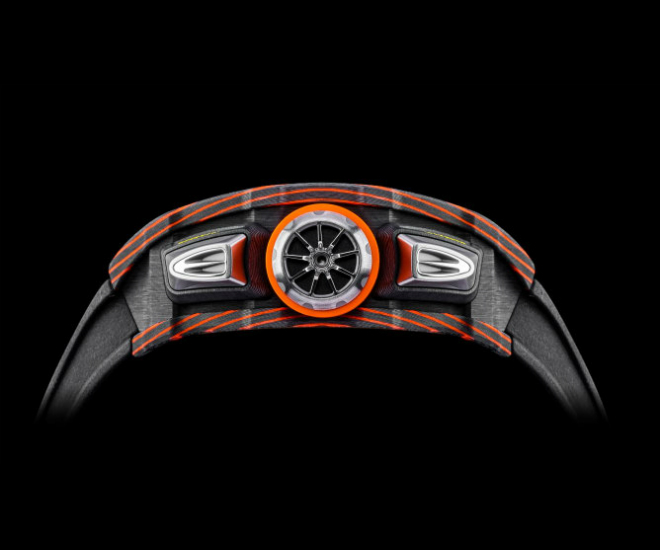 McLaren and Richard Miller announced their first wristwatch at the Geneva International Motor Show (on-going till March 18). 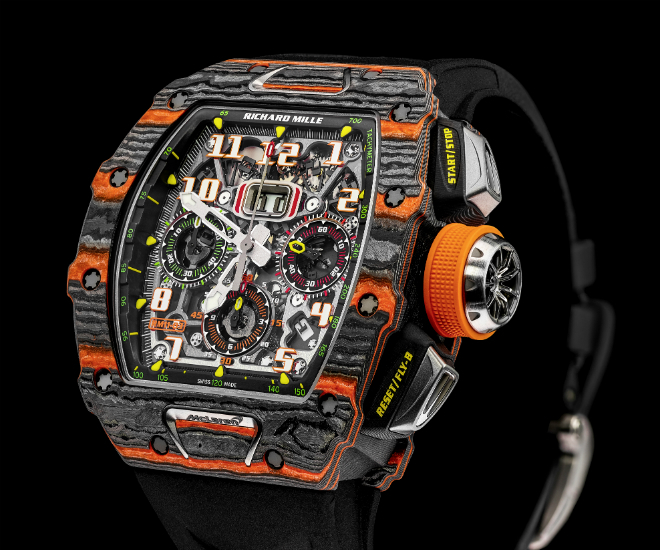 Only 500 limited edition of the “RM 11-03 McLaren Automatic Flyback Chronograph” watches were produced. 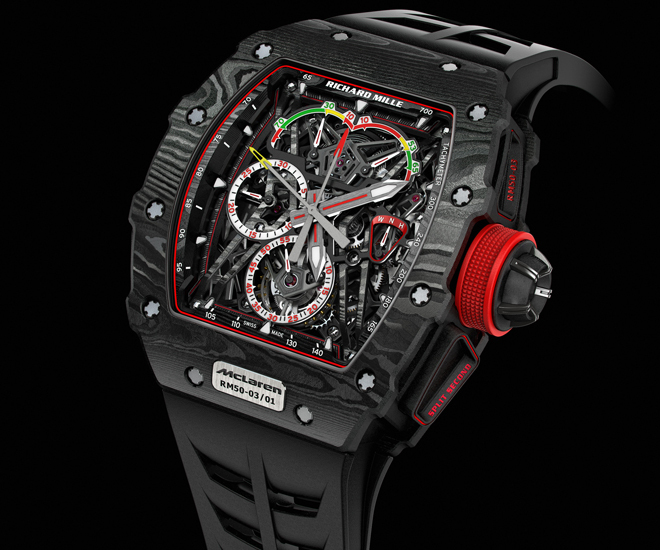 The Swiss watch brand and the British automaker have joined forces to commission the “RM 11-03 McLaren Automatic Flyback Chronograph” and will be a priority purchase for owners of these McLaren ultimate series supercars: McLaren P1, McLaren P1 GTR and the McLaren Senna. McLaren Automotive’s creations aim to incorporate a maximum of Formula 1 technologies and developments in their racing and ‘touring’ cars, from which to extract innovations that can be adapted across the collections. The “RM 11-03 McLaren Automatic Flyback Chronograph wristwatch” is based on the characteristics and design from the world of McLaren, particularly, from its 720S supercar. “The idea was to take on a real technical challenge, and come up with something other than a mere dial with an inscription, for example,” said Fabrice Namura. Designed by Rob Melville, “I find the 720S mesmerising beautiful, and we wanted to give the RM 11-03 McLaren curves that were similarly both aesthetic and functional,” enthused Namura. 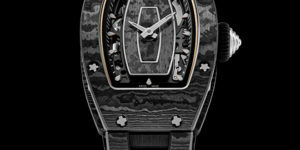 On the side displays the watch’s titanium buttons (pictured above), the crown and the bezel’s inserts. The first evokes the headlights of the British high-performance car; the second is crown made of titanium that is shaped like a wheel and the third; features McLaren logo on the bezel. 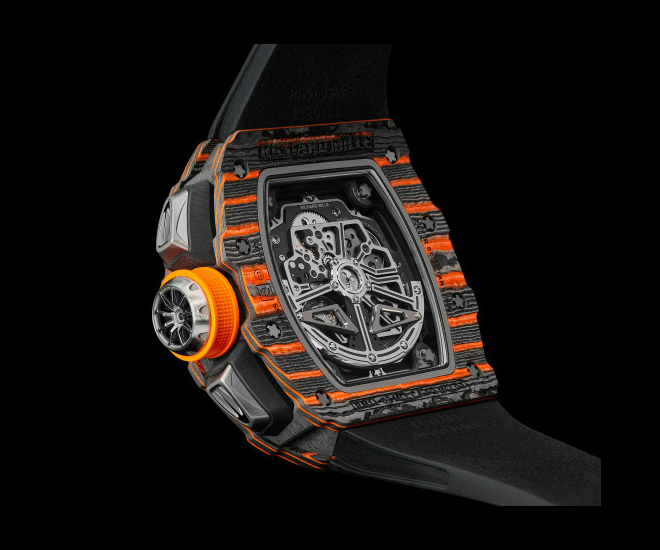 Other notable specs include a Carbone TPT and orange Quartz TPT case are exclusive material with a unique appearance in-line with the British car maker’s signature colour. The sapphire dial has an anti-glare finish and features three counters, an oversized date window and a month display window. 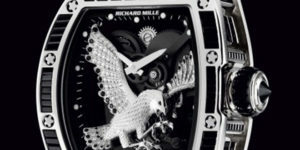 The watch uses the RMAC3 caliber, an automatic skeleton movement with hours, minutes, seconds, flyback chronograph, 60-minute countdown counter, 12-hour chronograph and a variable geometry rotor, and it has a power reserve of 55 hours. 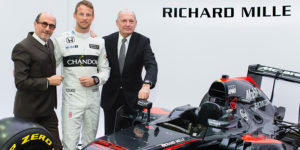 For information about McLaren, please visit www.mclaren.com and Richard Miller at www.richardmille.com.